Welcome to Cowan & Thompson Construction, Inc. Thank you for visiting the company website. Please take your time to to explore what Cowan & Thompson offers in general, and specifically what Cowan & Thompson can do for your project. 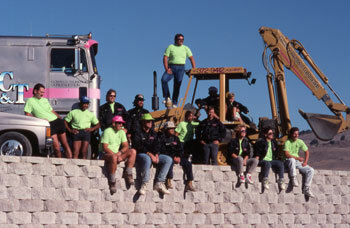 Cowan & Thompson is one of California’s leading retaining wall contractors. Our company has been leading the standard for excellence since 1987. We are a professional full-service retaining wall contractor. For over 25 years, Cowan & Thompson has maintained its commitment to quality, integrity and service. We pride ourselves on being a reputable, honest, reliable and friendly company with a level of professionalism matched by our competitive pricing. These principles remain an important part of what we do each day - on every project. Building relationships and retaining customers through the foundation of good business.